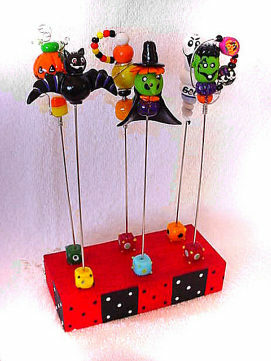 Here we are again continuing to get ready with more crafts and gifts for the Halloween Season. 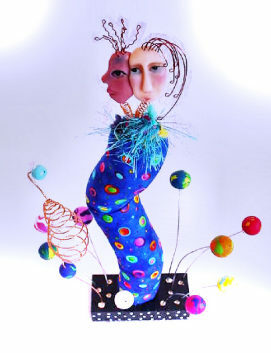 However, Mixed Media Artist, Mary, continues to create more and more fun and unique gifts. Remember that we sell both at retail and wholesale prices. Description: Supporting harmony between races, people, the world and the universe! 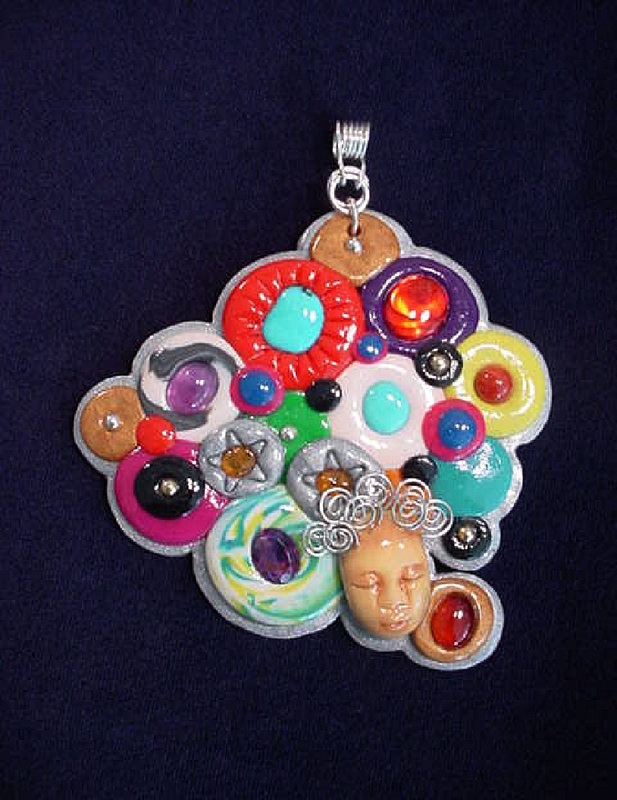 Handmade with copper, nickel, fabric, fibers, polymer clay, pastel chalks, wood, and paints are the materials used. Figurine is posing on a wood base. Some fabric colors may vary depending on availability. Unique design, one-of-a-kind! 100% handmade. MJ Crafts Design Studio getting ready for Halloween and Christmas! Welcome back! Mixed Media Artist, Mary, has been busy working new creative ideas for unique crafts and gifts for the upcoming holiday season. She is currently working on a new line of decorated boxes with seashells, flowers, and other beautiful decor. I will keep you posted and let you know when those art pieces make it out of our design studio. For now, check these new items which will make great gifts during the upcoming Halloween and Christmas seasons. Description: These unique handmade food picks will be the focal point in your party! BOO!! Handmade with polymer clay and decorated with glass beads, austrian crystals and wire. Each pick is approx.6" height , brass finished and washable. The set comes in a wooden hand painted base. Each set/6 comes in a clear PVC box for presentation. More seasonal designs will be available soon! Description: Handmade with Polymer clay. Handcrafted Sterling Silver pendant holder. Embellished with cabochons of different gems and faceted amethysts. Pendant includes a SS chain. Boxed. Very different and colorful. Description: Handcrafted with gemstones, bali beads and spacers. Silver Sterling earring findings. 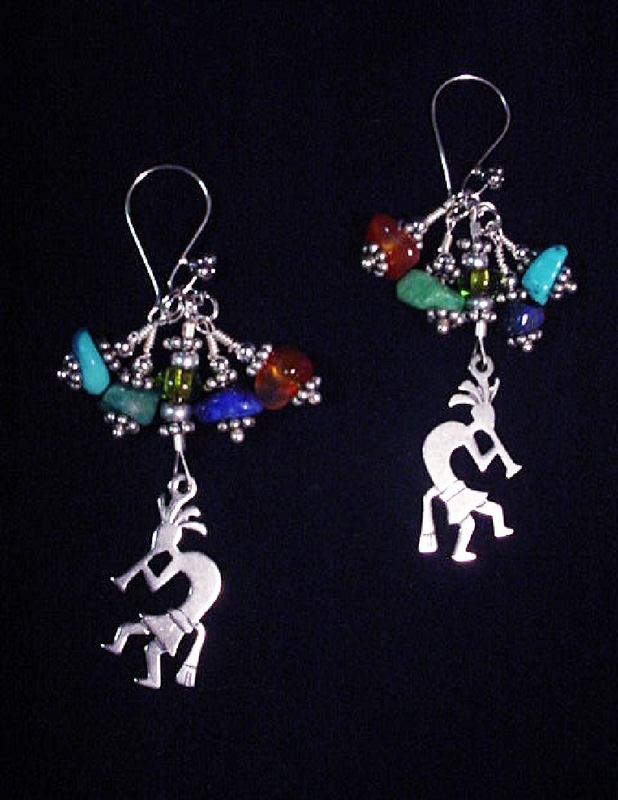 SS kokopelli charms. Limited production until availability. Beautiful to match with the Kokopelli watch.